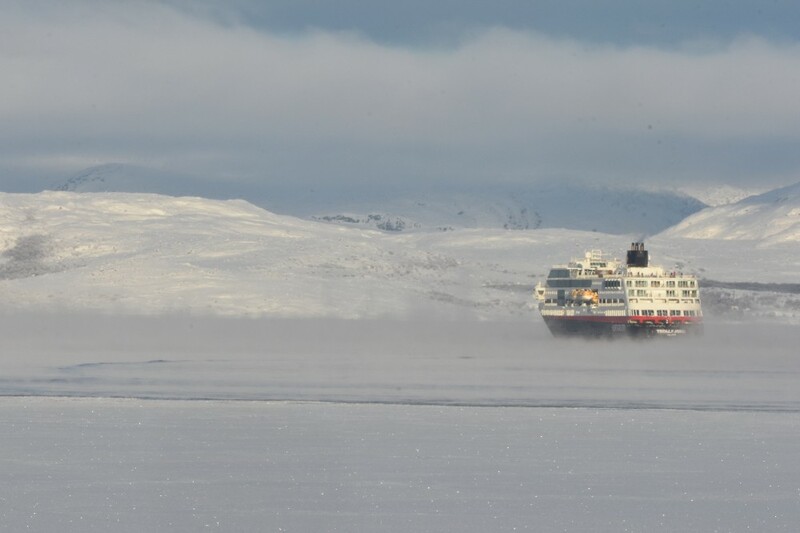 Cross-border cooperation in the Barents Sea on utilisation of resources, knowledge and infrastructure is a win-win for Russia and Norway, Halfdan Millang, head of RN Nordic Oil, argues. Hungry for new oil fields, Norway and Russia could find synergies if developing production in the maritime border areas north of mainland Europe. Meeting at the annual Kirkenes Conference, both countries’ oil majors, Rosneft and Statoil, talked optimistic about Arctic oil. Climate changes, trade and travel sanctions, harsh northern winter weather and economic investment risks. The daunting list of potential obstacles that could block for oil drilling in the shared Russian-Norwegian Barents Sea is long. 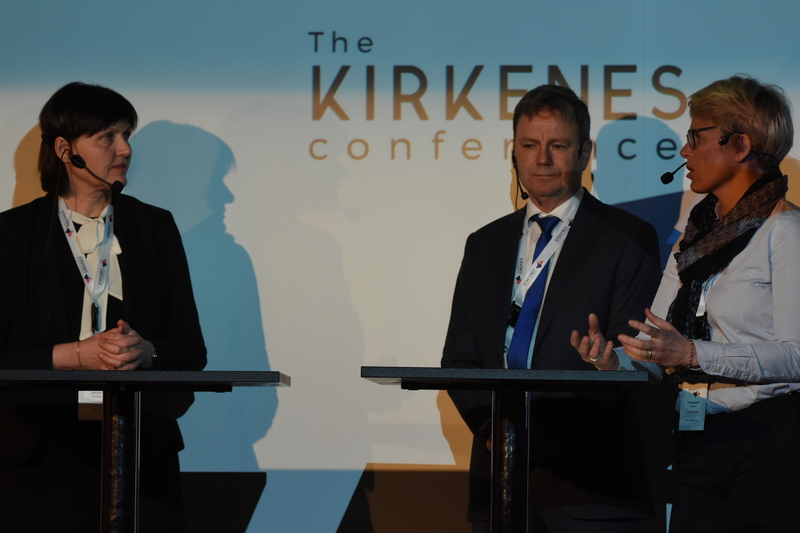 It was, however, the possibilities making the Barents Sea a new oil province that dominated the discussion in Kirkenes. With the frozen fjord outside the conference venue framing the talks, participants from both sides of the border warmly praised possible ways for cooperation in times of colder east-west political relations. Halfdan Millang, head of Rosneft’s Norwegian subsidiary RN Nordic Oil, says the Barents Sea must be developed as a new independent petroleum region. It is simply too far away from other infrastructure; it will be too expensive to add it to other existing areas with petroleum activities. “Should the area near the [maritime] border be developed, we should consider joint cross-border cooperation,” Millang says. He points to important synergies like regional geological understanding, shared data on environment, emergency response planning and management. Also, utilisation of resources like supply vessels, drilling rigs and seismic acquisition would benefit oil companies, whether they be active on the Russian or Norwegian side of the border. RN Nordic Oil bought 2D-seismic results from the Norwegian Oil Directorate, seismic acquired the first season in 2011 after Russia and Norway signed the maritime delimitation agreement for the Barents Sea. Halfdan Millang gives other examples on win-win cooperation. Ports and supply bases that could serve exploration campaigns or future fields in production will reduce overall costs. Some of the blocks made available for oil companies in the maritime border area might actually cross the border itself. The delimitation agreement between Norway and Russia has a set of guidelines on how to share such possible cross-border resources under the seabed. “We have had 12 expeditions in the border areas collecting environmental data. I’m sure this would be interesting for the Norwegians,” Millang suggests. While cross-border cooperation seems logically from a human resources-, technical and economical perspectives, current international political controversies make such ideas far out of the horizon. Norway follows the European Union’s Russia-related sanctions; putting a ban on the possibilities Norwegian companies have to team-up with Rosneft’s oil drilling on Russia’s Arctic shelf. Last month, the United States tightened the screws even more. “The January 29th sanctions by the United States are designed to prohibit American companies to deal with Russian controlled companies. It certainly has an impact on the Russian Arctic shelf. We have some plans for the Fedynsky [licence] and that may or may not happen, so it certainly has an impact on the Russian offshore scene,” Halfdan Millang says. Rosneft’s Fedynsky licence is close to the border to the Norwegian sector of the Barents Sea. On the Norwegian side, AkerBP and Statoil are both ready to continue with drilling. Statoil’s Siri Espedal Kindem, company senior vice president for the operations north cluster, says the oil major will have a drilling campaing in the Barents Sea both this year and for the 2019 season. AkerBP’s Jorun Kvaale says her company will drill two licences in the Barents Sea in 2018.